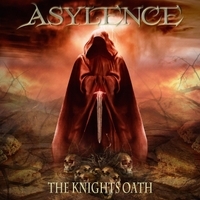 Asylence is a Detroit based metal band. Forming in 2016, they combine a unique blend of melodic death, black, core and progressive metal more brutal than the darkest roast of instant coffee. Pulling influence from bands such as: Black Sabbath, All Shall Perish, Protest The Hero, and Mastodon, Asylence brings a grinding, heavy new sound sure to make heads bang.